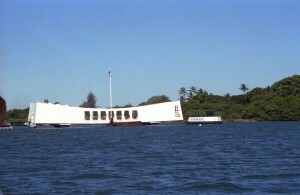 There are many sights around the world which are focused on the military or military events. 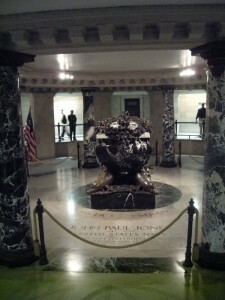 I refer to them as military memorials. 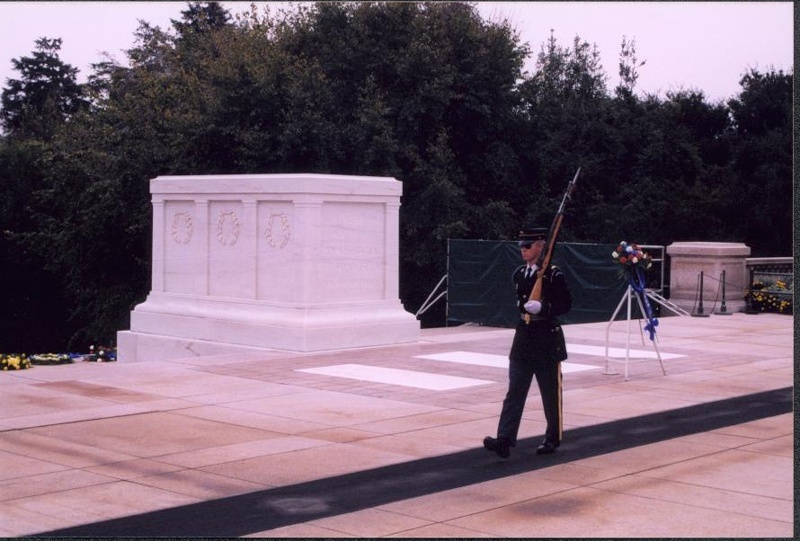 Some of these are battlefields which commemorate a particular phase of a conflict; others are memorials to the soldiers who perished or to the generals who lead them; still others, unfortunately, are graveyards where those who gave their lives are buried. 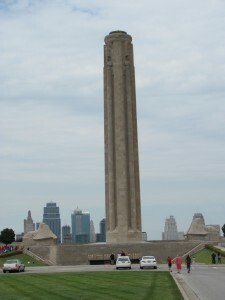 These posts will list and discuss some of these locations/tourist sites that I have visited. 1. 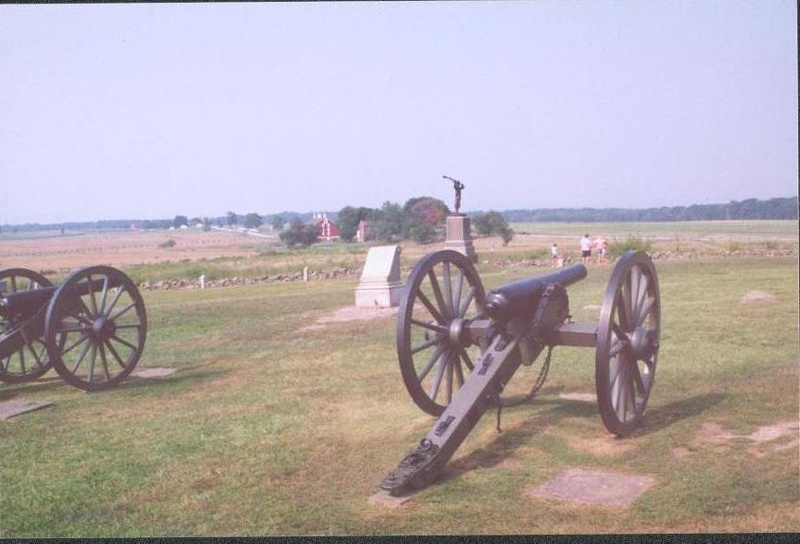 Gettysburg National Military Park, Gettysburg, PA — The Battle of Gettyburg was the pivotal battle of the Civil War. 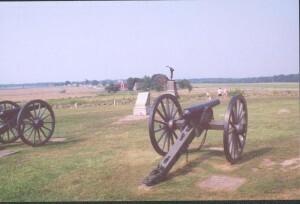 From July 1-3, 1863 over 45,000 men were killed, making this battle the costliest of the war in terms of human life. 2. 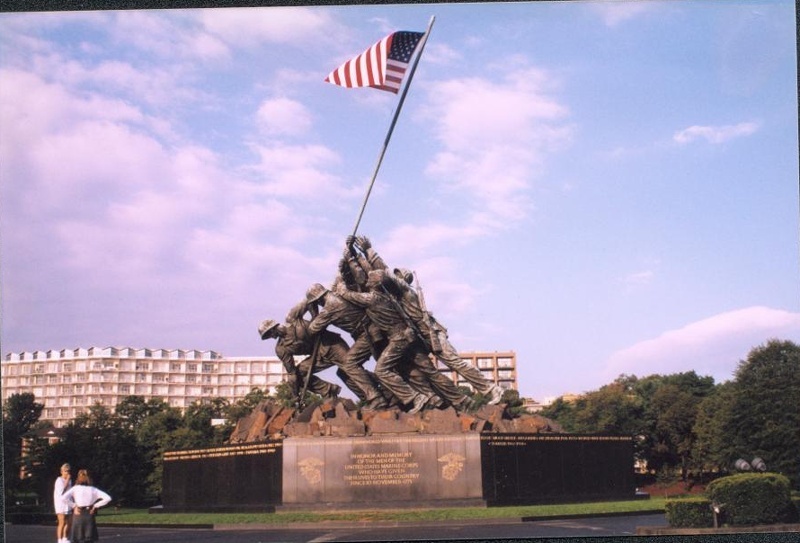 Iwo Jima Memorial, Arlington, VA — Also known as the Marine Corps War Memorial, this statue personifies one of the famous news photographs in history. 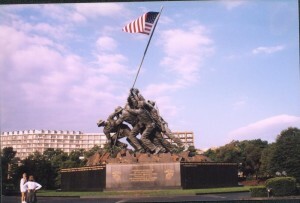 The statue depicts the soldiers and marines who raised the second flag on the island of Iwo Jima during World War II. 3. 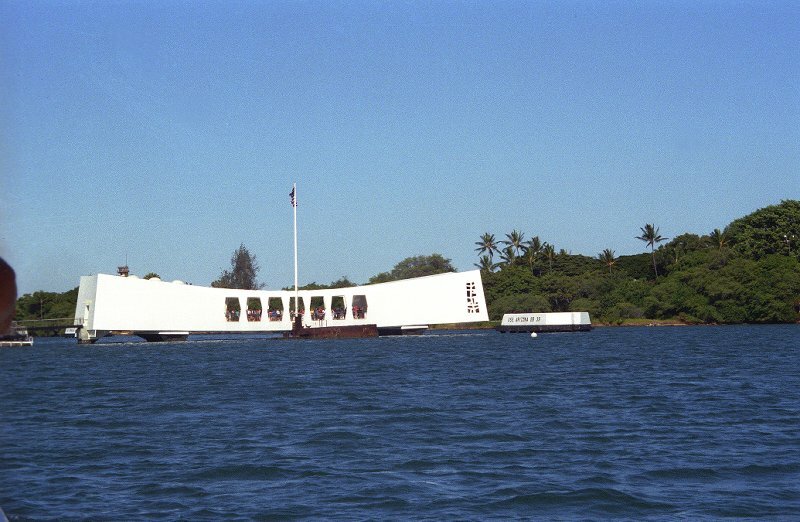 USS Arizona Memorial, Oahu, Hawaii — This gleaming white structure sits directly above the Battleship Arizona which was sunk during the Japanese attack on Pearl Harbor, December 7, 1941. Oil still seep from the ship and the dead have not been removed, making the ship a tomb. 4. Bennington Battle Monument, Bennington, Vermont — This 306 foot high obelisk commemorates the battle which prevented the British from reaching their supply depot (in Bennington). 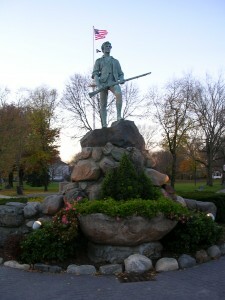 The lack of supplies caused the British to lose the Battle of Saratoga, paving the way for an American victory in the Revolutionary War. 5. 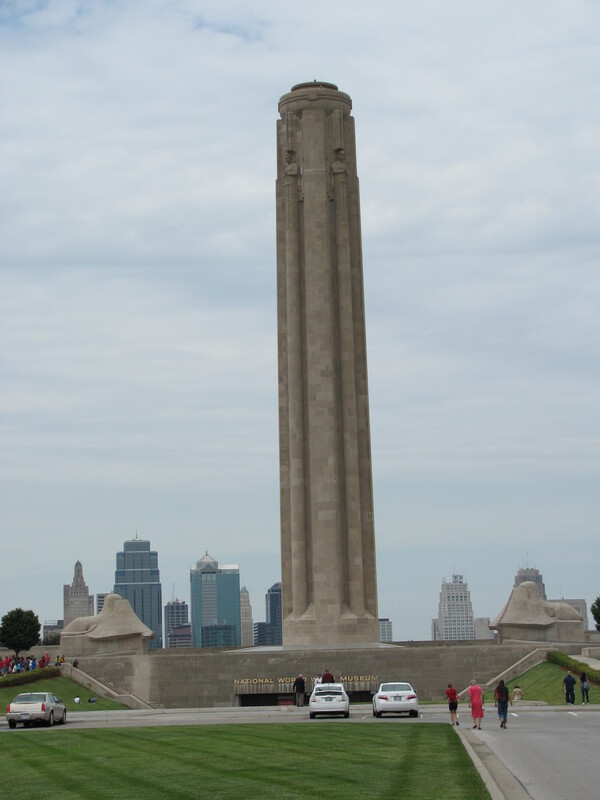 Liberty Memorial, Kansas City, Missouri — This tower commemorates American lives lost during World War I. 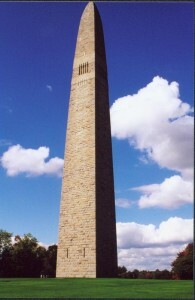 It sits above the National World War I Museum in Penn Valley Park. 6. The Alamo, San Antonio, Texas — This former mission was the scene of a famous battle whose outcome, death for all but two of the Texans within the Alamo, inspired the people to eventually defeat the Mexicans. In the battle, two famous American, Davy Crockett and William Bowie, were killed. 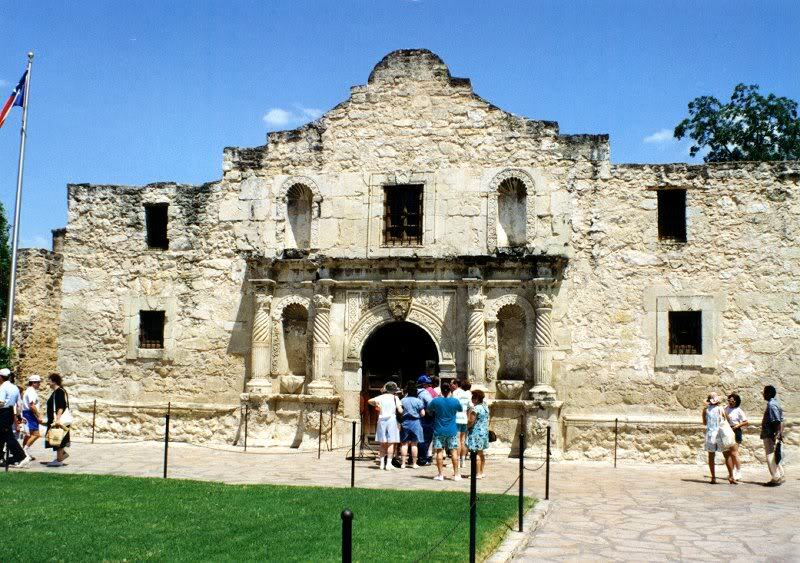 “Remember the Alamo” has become a rallying cry for many who have faced incredibly lopsided odds, and the mission/fort has become a symbol of Texan independence. 7. Arlington Memorial Cemetery, Arlington, Virginia — The major military cemetery for armed forces veterans sits on a hill across the Potomac from the Lincoln Memorial. Its stark landscape of simple white crosses, symmetrically placed gives a haunting appearance. Add in the very moving Changing of the Guard Ceremony at the Tomb of the Unknown Soldier and the entire experience is unforgettable. 8. 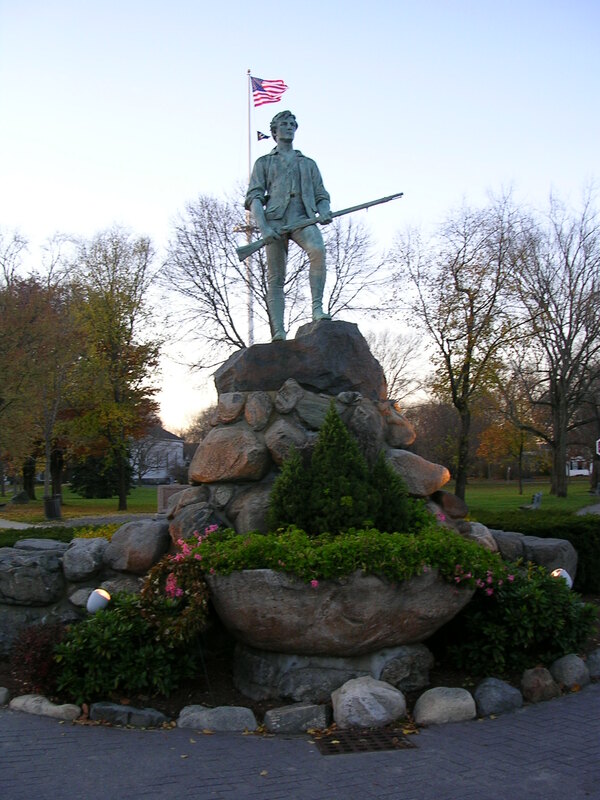 Minuteman Statue, Lexington, Massachusetts — This tribute to the bravery and fortitude of the rebels who fired the “shot heard round the world,” launching America’s fight for freedom in the Revolutionary War. 9. 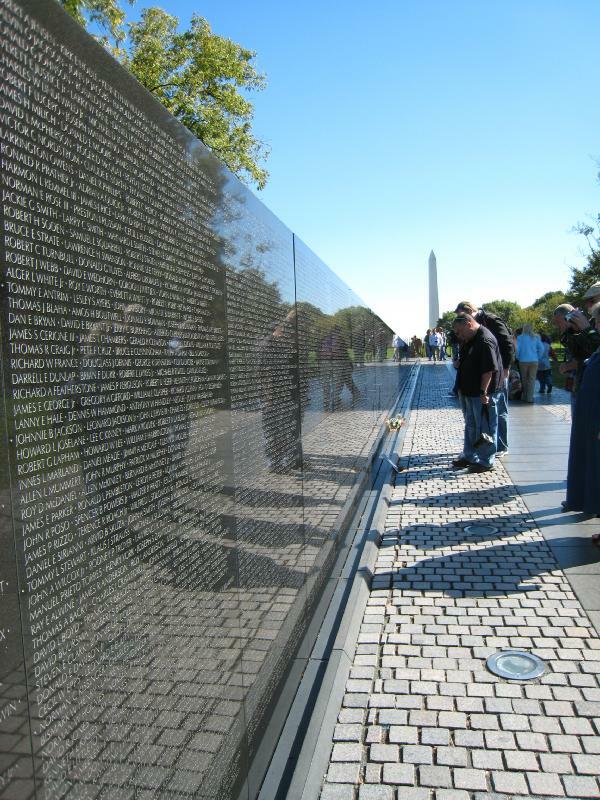 Vietnam Veterans Memorial, Washington, DC — “The Wall” lists all the dead and missing from the entire US involvement in Vietnam, a staggering total of 58,195 names. 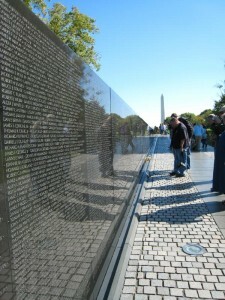 It was designed by renowned architect Maya Lin and completed in 1982. 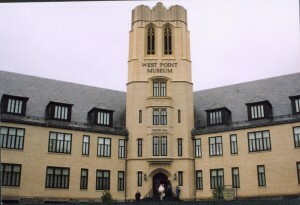 The site receives over 3,000,000 visitors each year. 11. 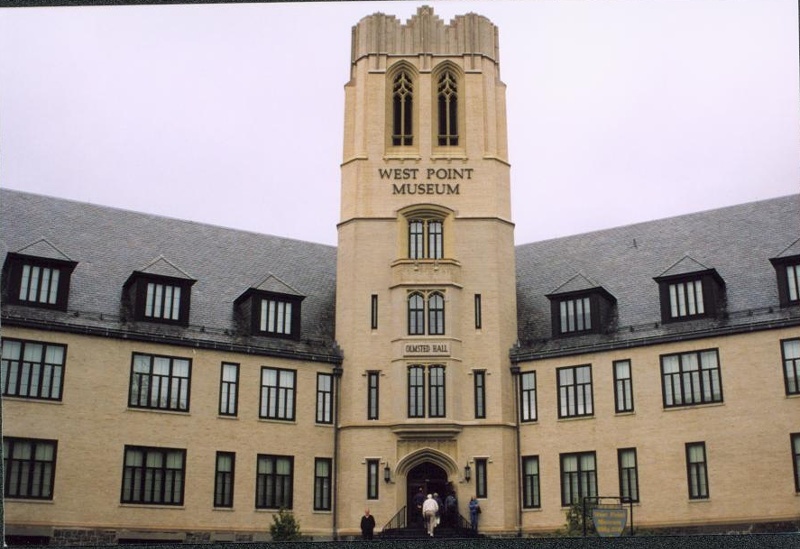 West Point Museum, US Military Academy, West Point, New York — This museum maintains the oldest and largest collection of military artifacts in the Western Hemisphere. 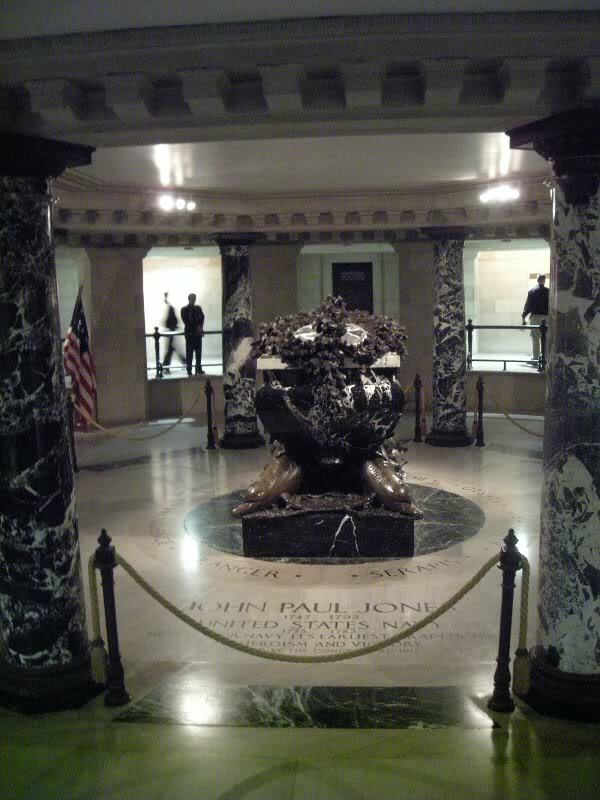 This entry was posted in Seven Wonders and tagged Memorials, US Travel, World Travel, World Wonders. Bookmark the permalink.